Say you want to apply surcharges, discounts, flat rates, or prevent specific shipping options to a certain delivery day of the week. A common example is a surcharge for Saturday Delivery, or hiding a method if it’ll deliver on Saturday. ShipperHQ’s Day-Based Rules functionality covers this need and is part of our Date & Time Advanced Feature. This doc will example the process for setting a surcharge on a Saturday Delivery day, and hiding a method on a Saturday Delivery Day. Be sure to apply any other Zone or Shipping Group conditions in the Conditions panel, if applicable. 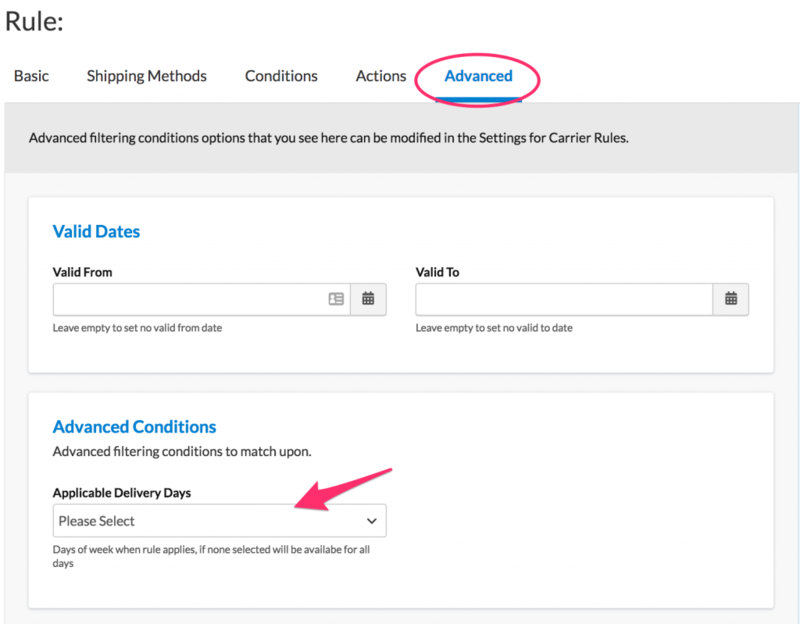 In the Actions panel, set Action to Perform to “Set/Surcharge Shipping Methods” > set Adapt Shipping Rates to “Surcharge Rates” > and enter the amount you want to surcharge by in the Shipping Rate field. ShipperHQ will now apply the surcharge whenever your selected method is delivering on the chosen day. This will walk you though setting up a rule that hides FedEx Home Delivery when delivering on a Saturday. ShipperHQ will now hide FedEx Ground when delivering on a Saturday.